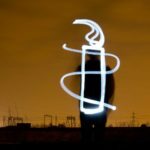 Amnesty International Australia has today called on the Thai authorities to end the detention of Bahraini national and Australian resident Hakeem al-Araibi, which is ongoing despite the reported lifting of the INTERPOL Red Notice that led to him being detained. “Hakeem will not be safe until he is back on Australian soil, Diana Sayed, Campaigner for Amnesty International Australia said. “Hakeem’s life will be in danger if he is deported to Bahrain. As a recognised refugee with approved travel documents he should never have been detained. We are pleased to hear reports of the Red Notice being lifted – but despite this – the Thai authorities continue to detain him. Travelling on an Australian travel document, al-Araibi was detained with his wife upon his arrival in Bangkok on Tuesday 27 November 2018. Amnesty has received reports that Hakeem and his wife were transferred into detention at Suan Plu immigration detention centre (IDC) on Sunday 2 December. On 3 December, Hakeem was taken to court and served with a 12-day detention order. On his way back to Suan Plu IDC, his mobile phone was confiscated. Hakeem was sentenced to ten years in prison in an unfair trial in Bahrain in 2014. It was not the first time he has been persecuted and suffered serious human rights violations. A former player of Bahrain’s national soccer team, he has spoken out about a senior Bahraini official’s practice of torturing footballers who participate in demonstrations. He was himself arrested in November 2012 and tortured. Later, al-Araibi fled to Australia, where he was recognized as a refugee in 2017. He was informed upon his arrival in Bangkok he would be returned to Bahrain, where he almost certainly faces imprisonment and torture. His detention followed an INTERPOL Red Notice against him – issued by Bahrain on the basis of the unfair criminal conviction against him in 2014. Under international law, it is prohibited to return an individual to a territory place when there is a reasonable fear that the individual will be at real risk of suffering torture or other serious human rights violations. “The Australian government have recognised the need to give Hakeem and his family refuge from persecution in Bahrain. The Thai government must recognise and respect his status as a refugee and send the family back to Australia – or risk sending him to a horrible fate in Bahrain”.